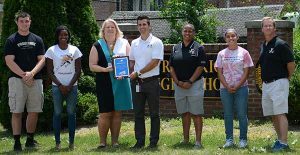 The FCPS Sportsmanship Award began with the 2015-2016 school year. All 10 high school principals and all 10 athletic directors vote to determine the annual Sportsmanship Award. They base their votes on the sportsmanship they observed the past school year, taking into account behavior of coaches, student-athletes, fans, spectators and parents. Pictured above: John Shedio, student athlete, Jaida Smith, student athlete, Kathy Campagnoli, FHS Principal, Kevin Kendro, Supervisor of Athletics and Extracurricular Activities, Keivette Hammond, Athletic Director, Heidi Gonzalez, student athlete, and Phil Rhodes, Assistant Athletic Director.parents. 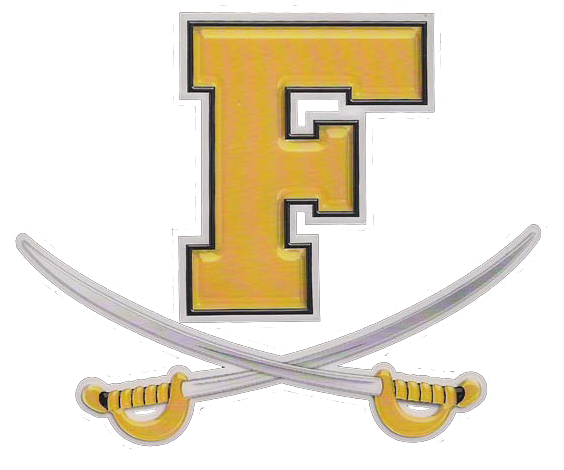 In 2016, through the efforts of our Head Athletic Trainer, our administration, and coaches, Frederick High School was selected as a recipient of the National Athletic Trainers Association Safe Sports School (1st Team Safe School) award for its athletic program. The award champions safety and recognizes secondary schools that provide safe environments for student athletes. The award reinforces the importance of providing the best level of care, injury prevention and treatment. 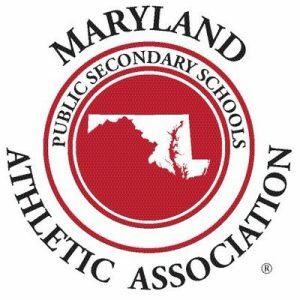 The Maryland Public Secondary Schools Athletic Association annually presents a sportsmanship trophy at the Girls State Basketball Tournament.